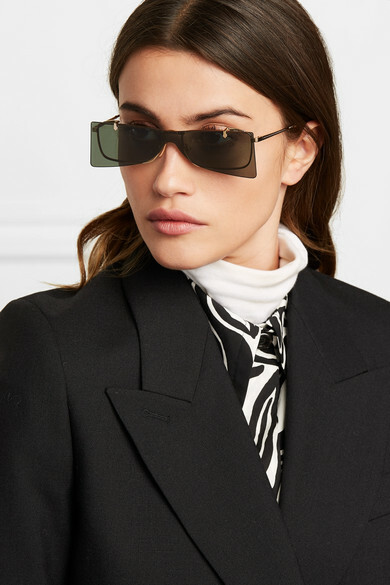 The coolest thing about Gucci's sunglasses is that they won't just shade your eyes from the sun - the dark-green rimless lenses flip up to reveal a handy optical pair underneath. 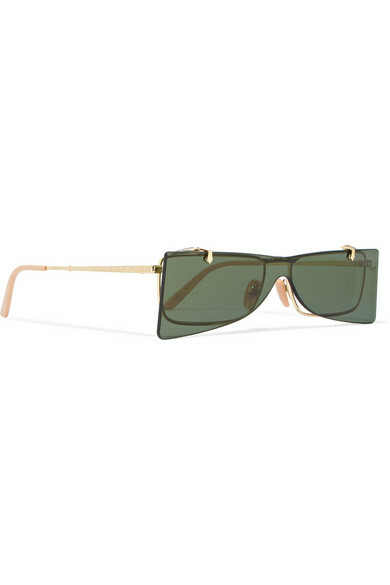 This retro-inspired pair is made from lightweight gold-tone metal and has comfortable blush acetate tips. The upside-down cat-eye shape is great for carving out cheekbones on round faces. 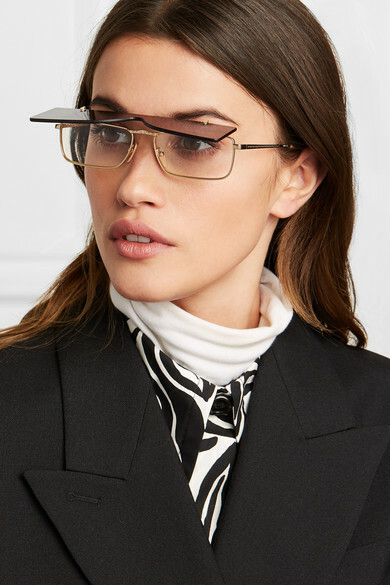 Shown here with: Marni Shirt, FRAME Blazer, Wolford Bodysuit.